Huge price reduction! 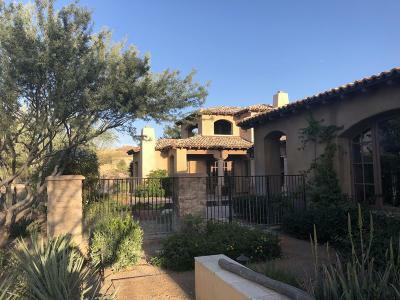 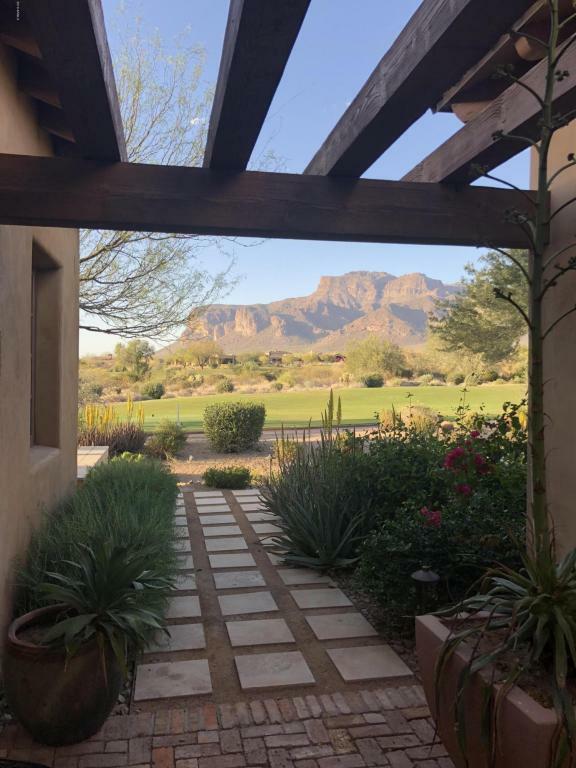 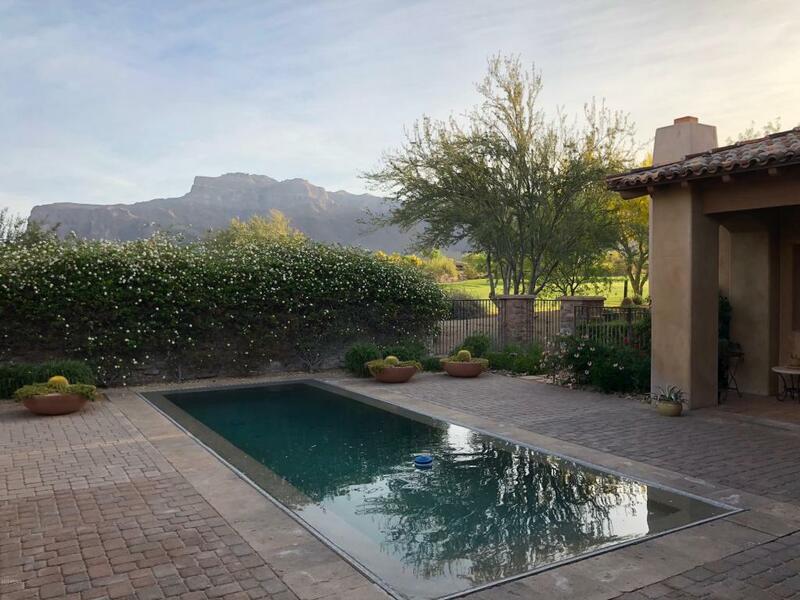 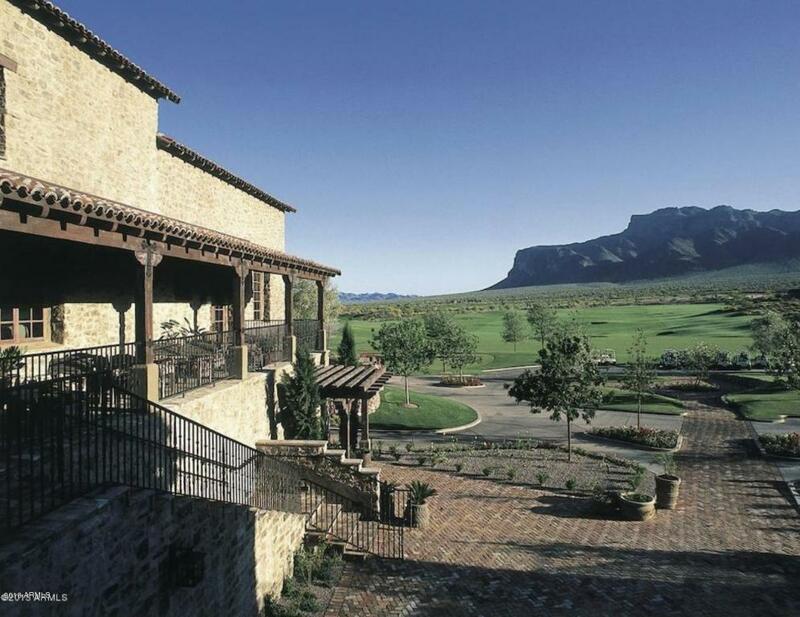 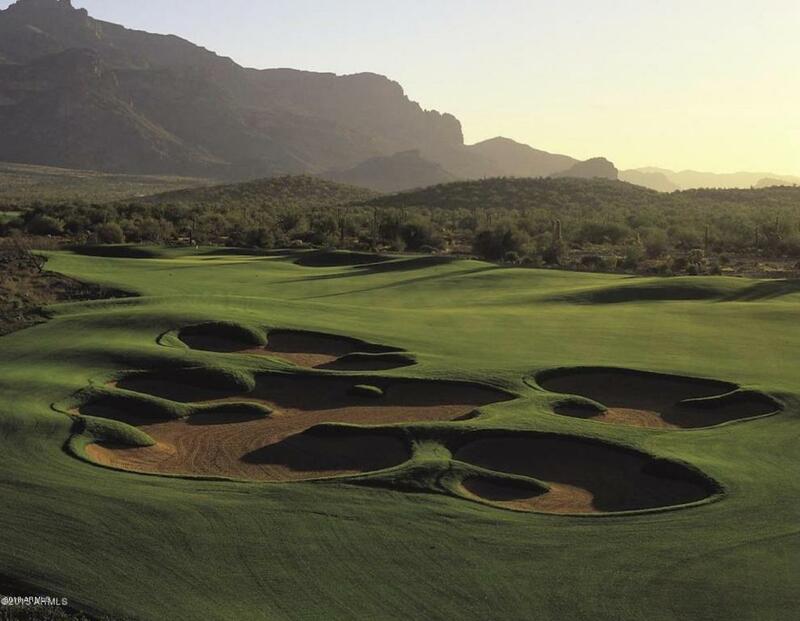 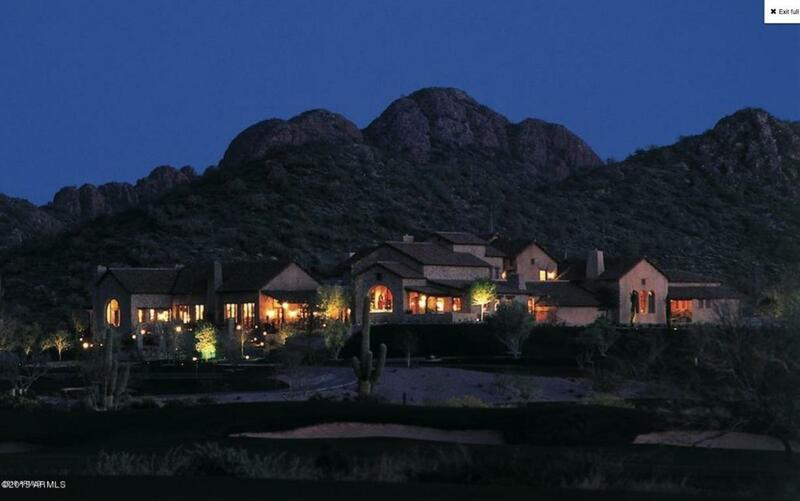 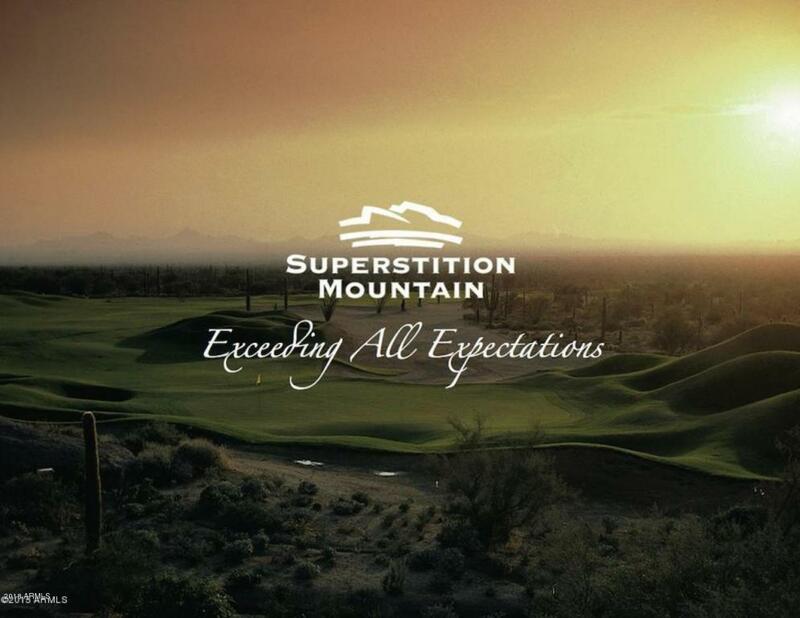 This luxurious Tuscan masterpiece overlooking the 15th hole of the Jack Nicklaus Prospector Course enjoys unobstructed views of Superstition Mountain. 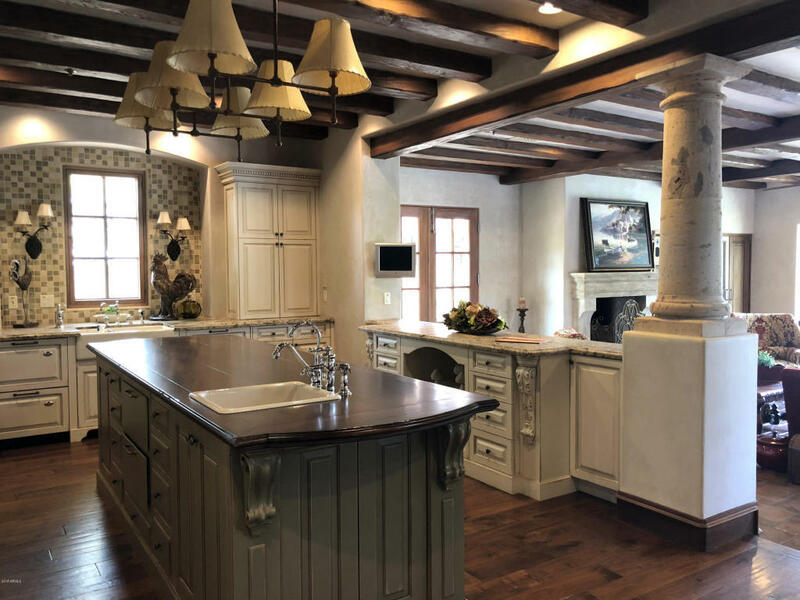 The gourmet chef's kitchen is well-appointed with two Subzero refrigerators, Viking range, dual Fisher Paykel dishwashers, a 10' center island, and a quaint informal dining space. 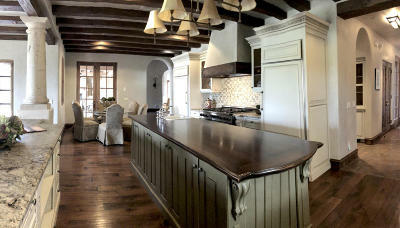 Adjacent is a butler's pantry and 7' wine fridge. 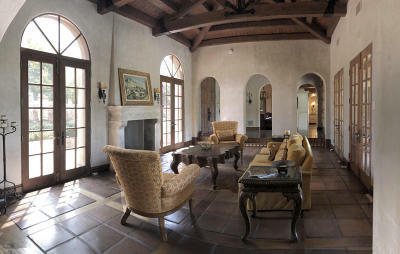 The formal dining room steps down from the entryway and looks out to a Tuscan style courtyard centered by a stone fountain. 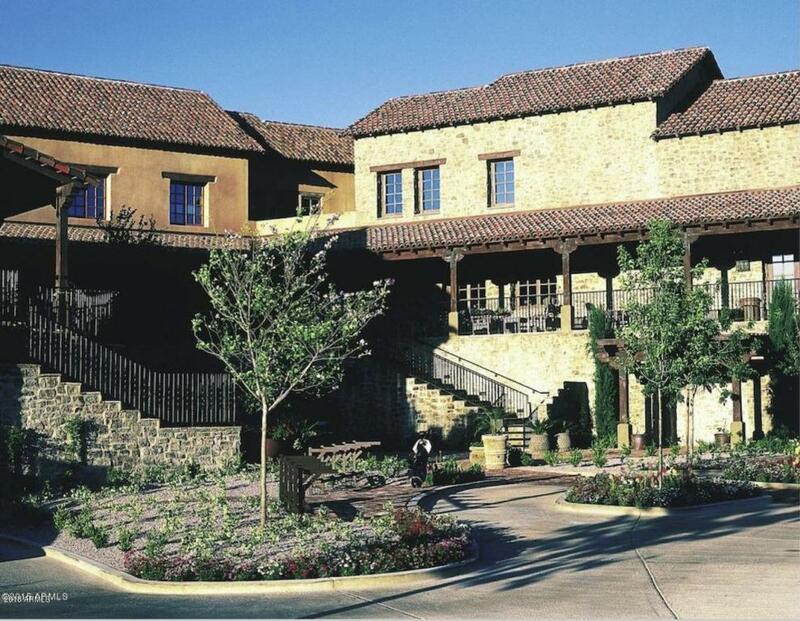 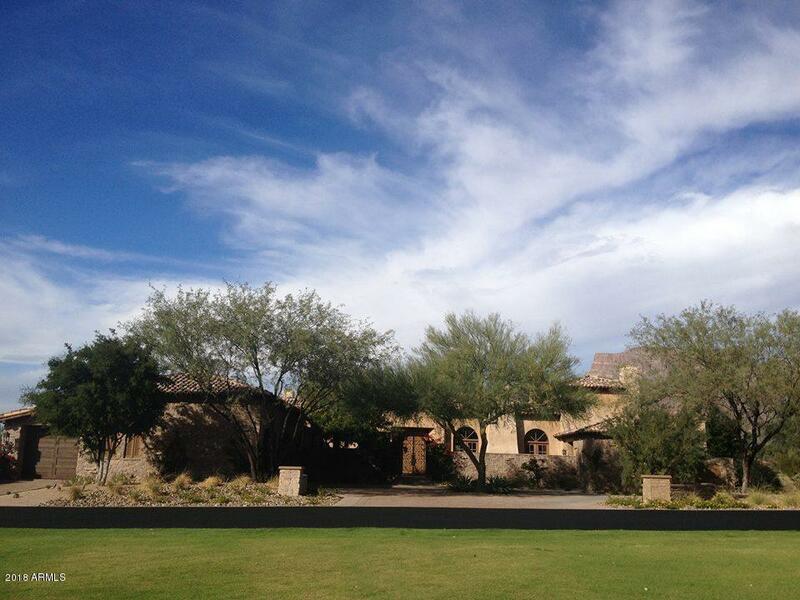 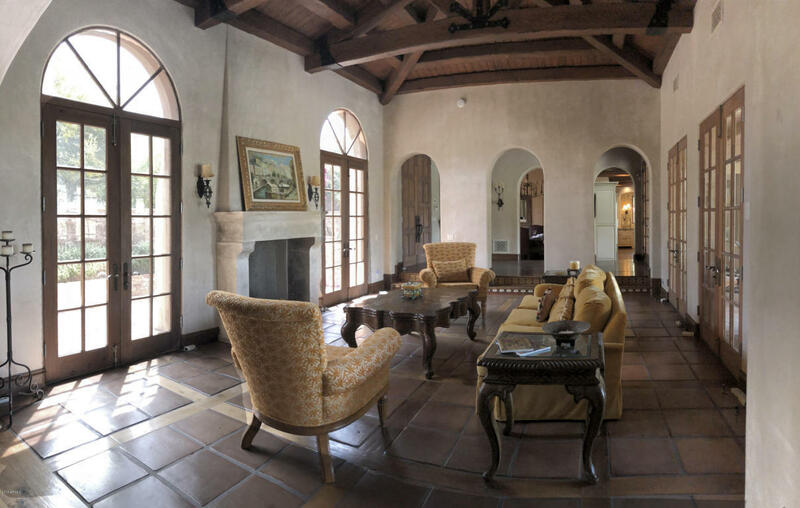 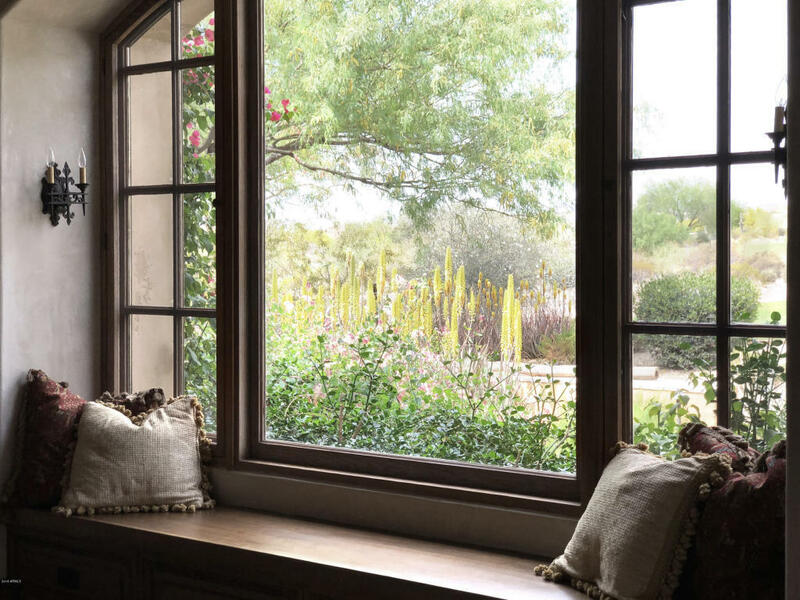 This exquisite home is complemented with Venetian plaster walls throughout. 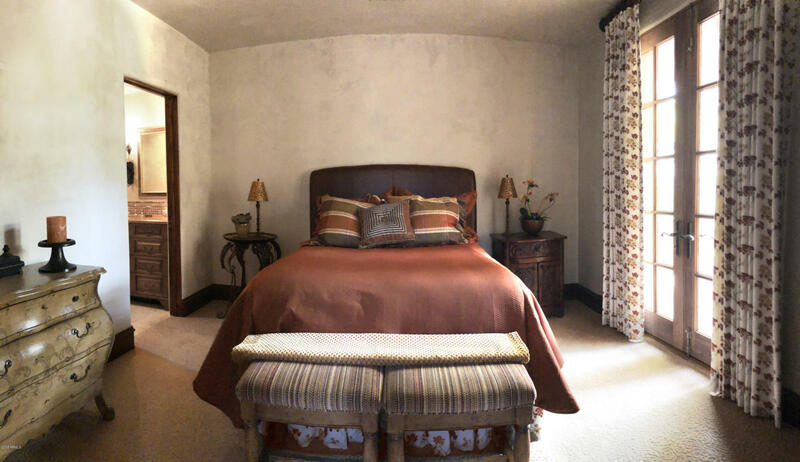 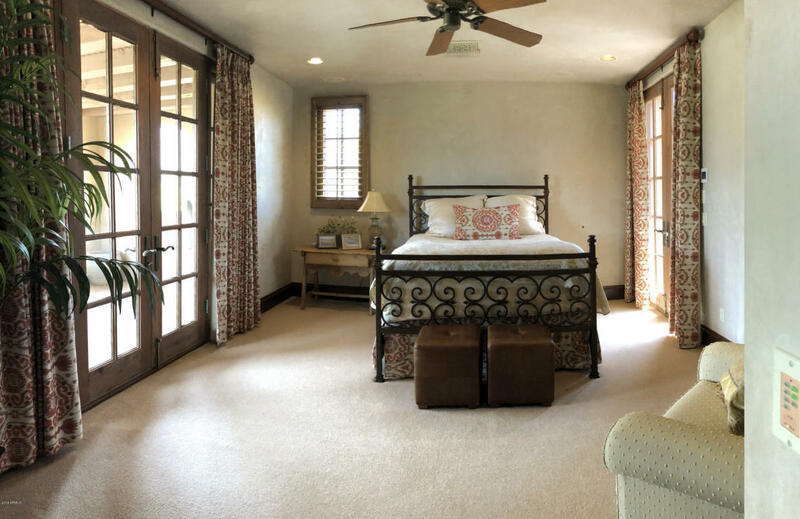 The master suite features a sitting area with fireplace, two-person shower, platform tub, two walk-in closets, three separate vanities and a private courtyard... with outdoor spa and shower. 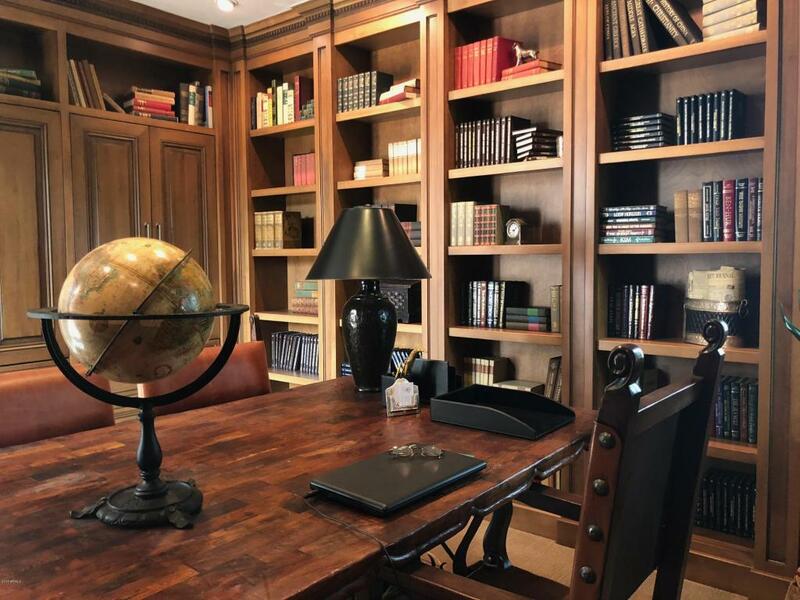 Down the hall from the Master is a library/office with built-in hardwood bookshelves, closet and drawer space. 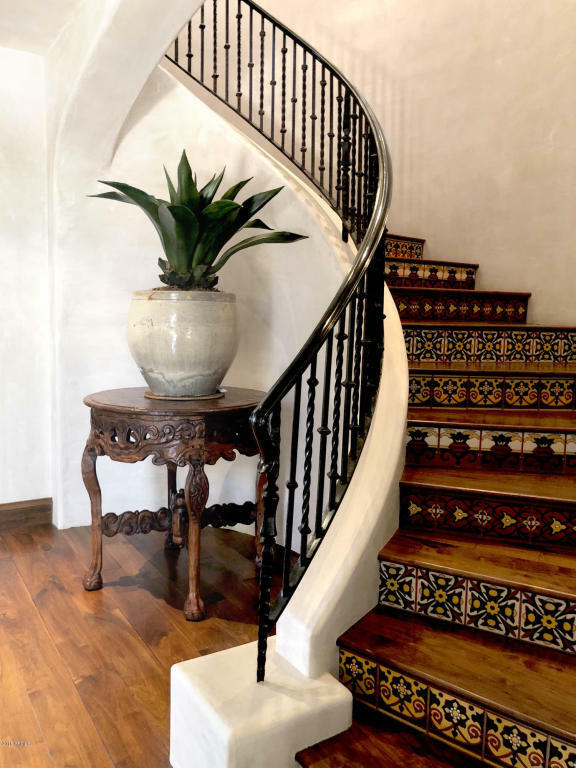 A winding staircase featuring Mexican Talivera tile risers leads to a guest bedroom and bath, with two outdoor decksÃ¢âone with a gas fireplace and those gorgeous mountain views. 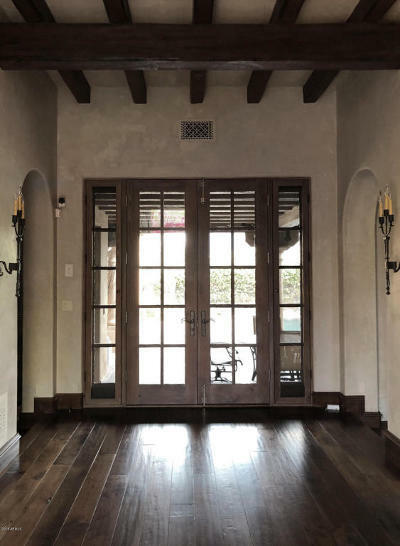 The living room showcases exposed Douglas fir trusses and manganese saltillo tiles framed by rustic true walnut planking. 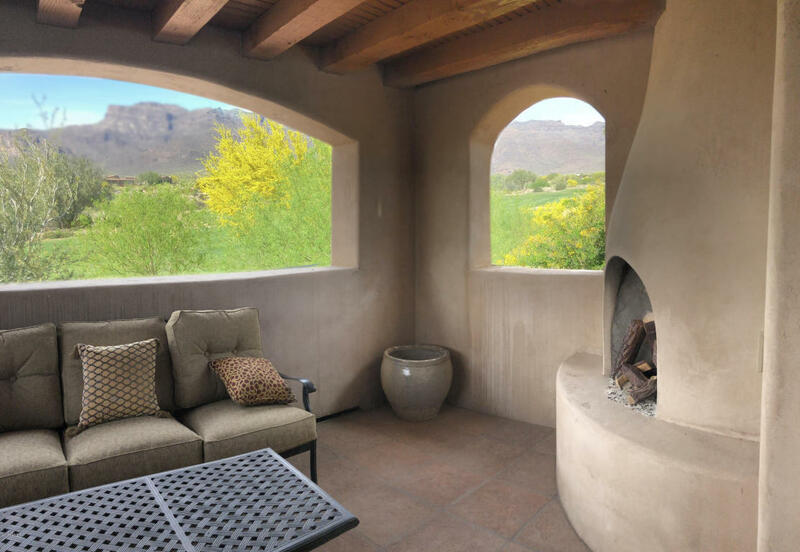 The family room adds another fireplace (one of three indoor and three outdoor), and a northern exposure picture window showcasing remarkable outdoor scenery. 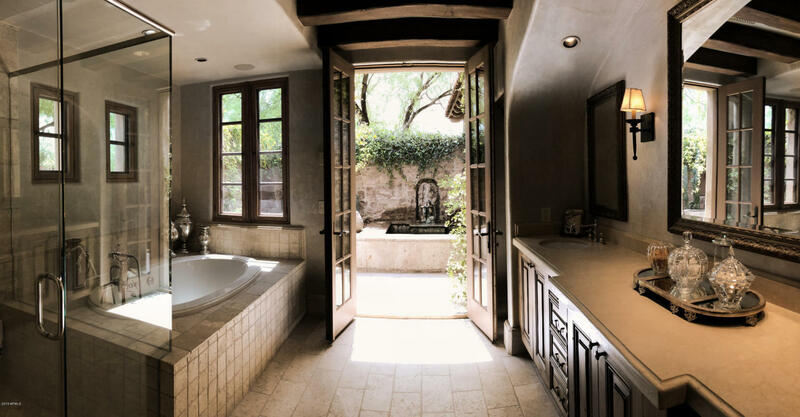 Included in the spacious laundry room with loads of storage, is a built-in Whirlpool Personal Valet clothing steam cleaner. 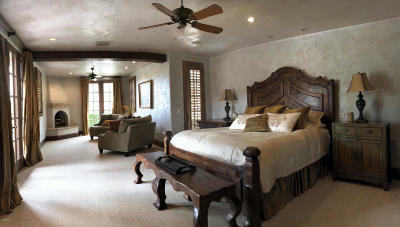 A second guest bedroom on the main level leads to a spacious courtyard with built-in gas grill and refrigerator. 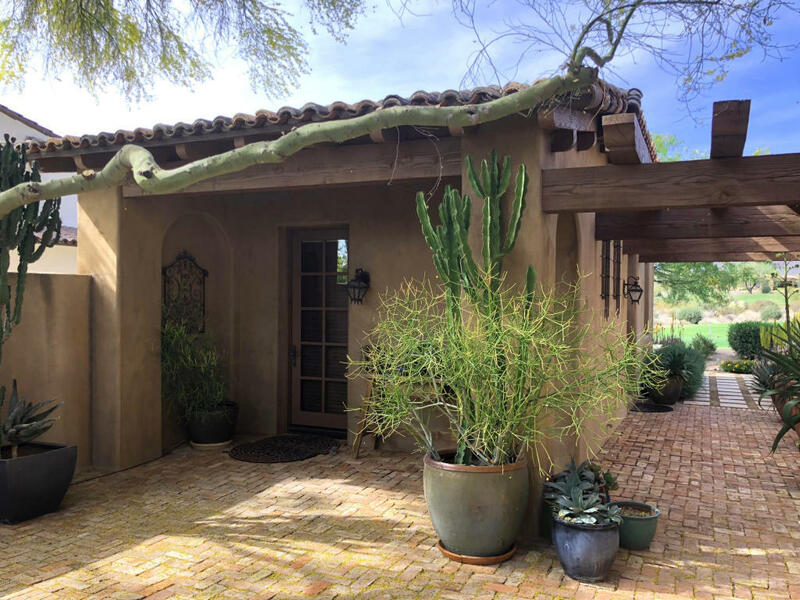 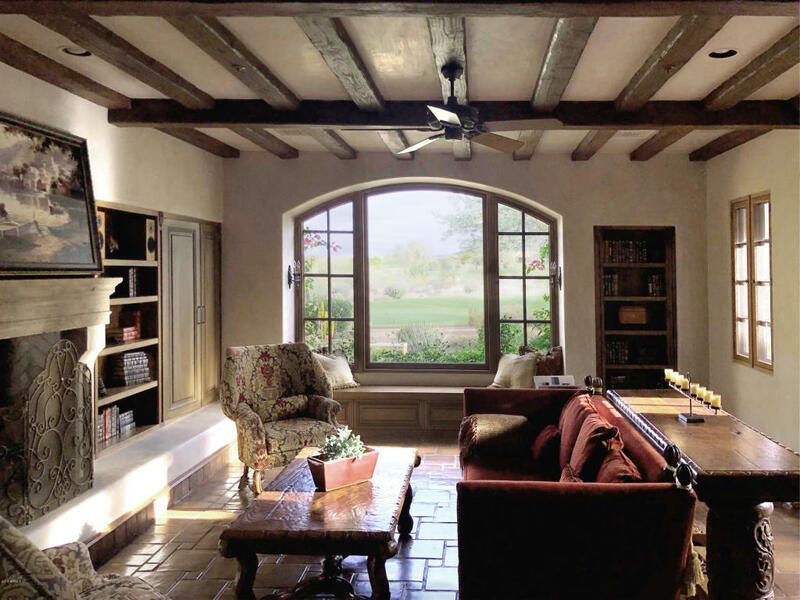 A 450 sq ft charming casita with separate entrance is connected to the main house by lattice work of beams. 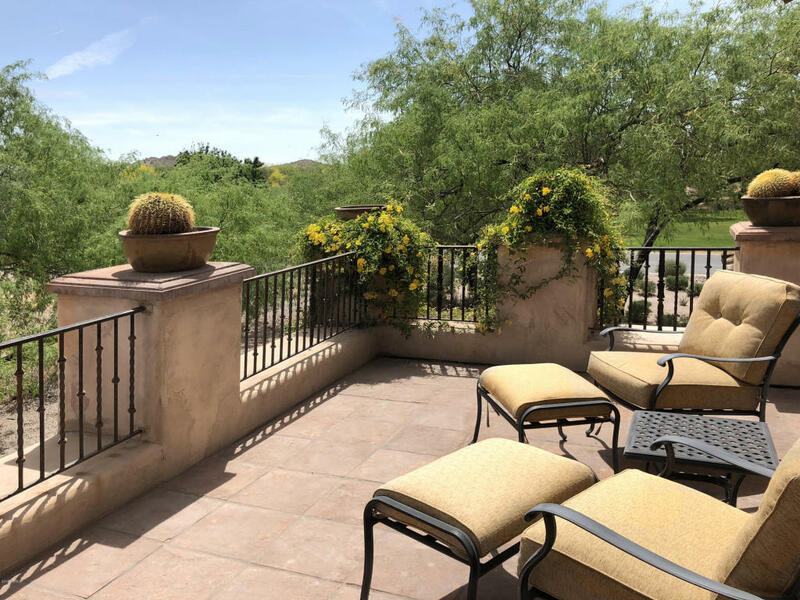 Just around the corner is a trellised outdoor living room with a fireplace, while a short walk away lies a negative edge pool. 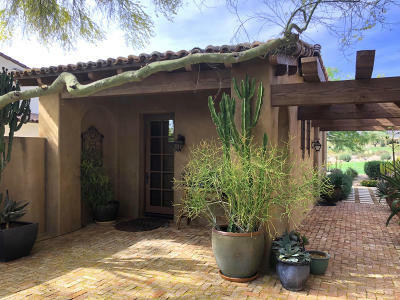 The custom designed landscaping and outdoor lighting was completely redone in 2015.